Beneath the City of Lights lies 200 miles of 13th Century tunnels. Tunnels that once bustled with activity from miners extracting limestone blocks; blocks used to build the major European hub 60 feet above, Paris. These tunnels sat empty into the 1700’s, but toward the end of the century that would change. 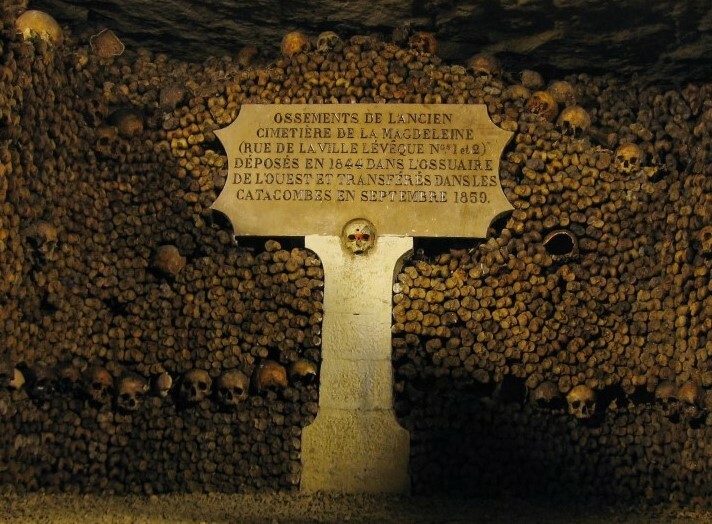 These same Tunnels today are one of the most visited tourist sites in Paris, The Catacombs. 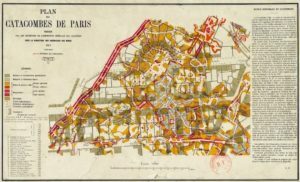 By the time the 17th century was closing, Paris had a quickly compounding problem. The European hub had become highly populated very rapidly. Larger populations inherently come with a higher quantity of deaths and need for burial. For centuries, the traditional urban burial would take place in the churchyard. However, after centuries of burials, placing thousands of bodies in these landlocked churchyards; there was nowhere else to go except vertical. Historical descriptions depict some church yards growing by 20 feet vertically against the outside of the church. By the 1760’s it had become clear that something with burials had to change. In 1763, the first step was taken to change how burials were handled. 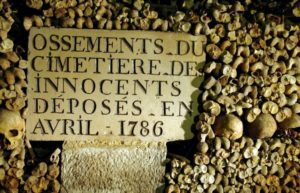 Louis XV declared no burials were to be allowed within the city limits of Paris. This prevented the problem from growing, but the existing situation had gone too far. Today only a small portion of the tunnels are open to the public, but even in that small percentage of the catacombs you can grasp the magnitude of the project that took place.